This "floating office" in Montrose Harbor in Chicago serves the Freedom Boat Club as both office and storage space. Here's a photo from a site visit today. This is mid-construction of a drop ceiling with cove lighting above a dining room. 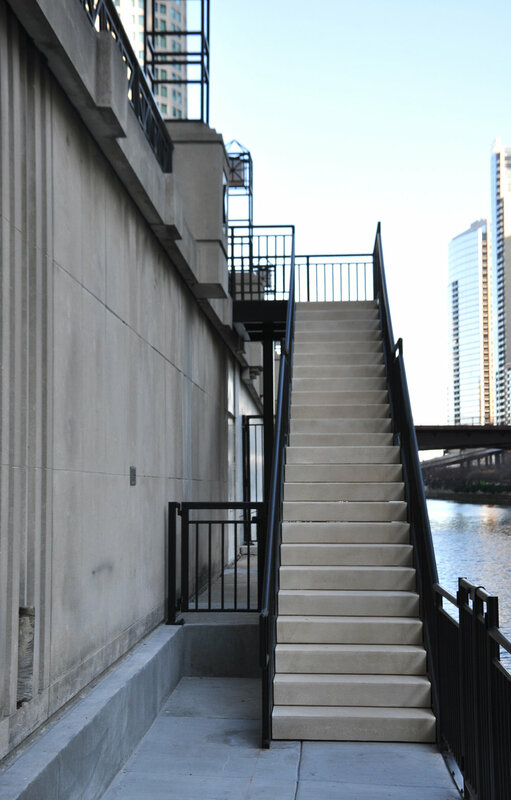 These new stairs were completed just in time for the upcoming tour boat season! 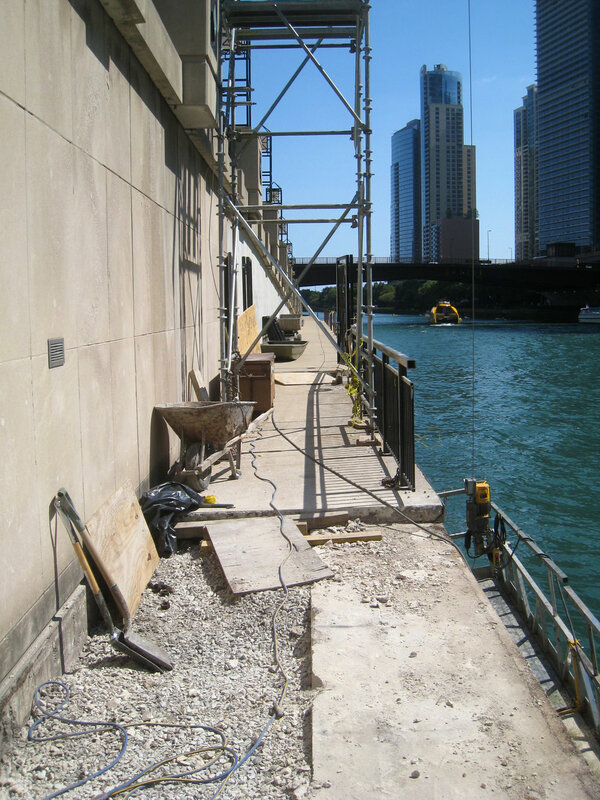 The project involved lowering the dock to accommodate the boat deck height and building new stairs between the esplanade level and the boat dock. 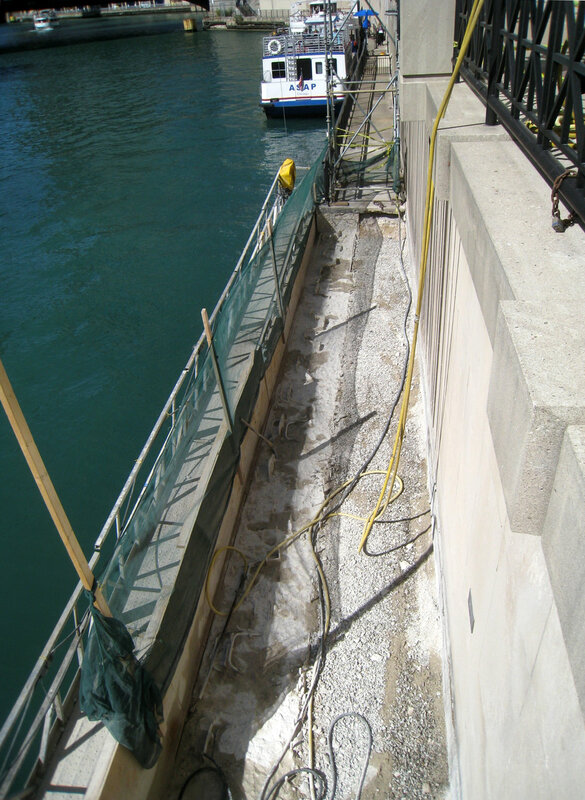 We worked with Zera Construction.